Let's face it, all of our apartments need a spruce up. 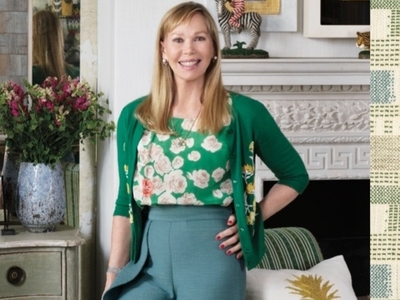 So go ahead and join internationally acclaimed interior designer Kit Kemp (Crosby Street Hotel anyone?) as she goes in conversation with Deborah Needleman to celebrate the publication of her new book "Design Thread." Book signing will follow the discussion on the creative process.